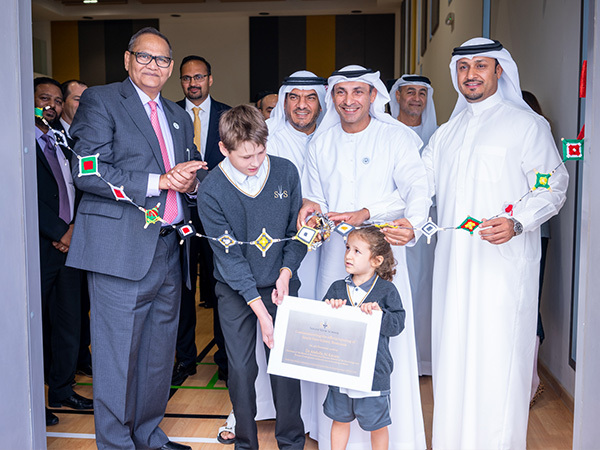 Dubai, United Arab Emirates, 5th December 2018: South View School (SVS), the first British-curriculum school in Dubai’s Remraam Community formally opened on Tuesday. Dr. Abdulla Al Karam, Chairman of the Board of Directors and Director General of Knowledge and Human Development Authority (KHDA) formally inaugurated the new campus. He was joined by Joanne Wells, Principal of South View School; Dinesh Kothari, Chairman of Interstar Education; Amit Kothari, Director of Interstar Education; Sasha Crabb, Principal of Victory Heights Primary School; Hayley Lamb, Head of Primary at South View School; Arif Mubarak, CEO, Dubai Asset Management, key members of the school’s staff; and Anthony Taylor, Head of Real Estate at ENBD REIT. 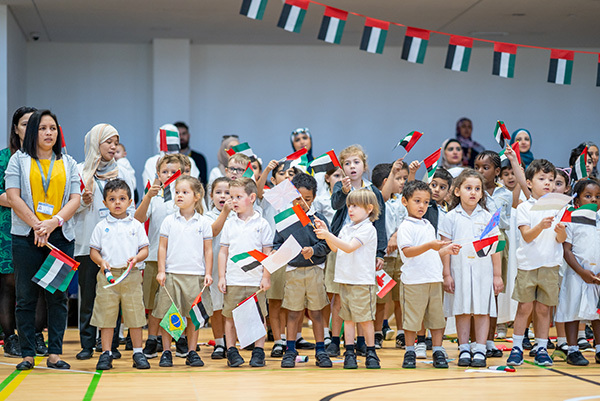 Located in the heart of Remraam Community in Dubailand, the British curriculum school opened in September 2018, offering classes to children from FS1 to Year 8. Currently in its first year of operation, the school is home to nearly 200 founding students, employing 24 teachers, 12 assistants and an efficient administration team. South View School is the fifth school in the UAE to be operated by Interstar Education, one of the leading education providers in the UAE with schools in the Emirates serving more than 16,000 students. “We are pleased to inaugurate South View School and to see the student and parent community grow. South View is a significant addition to our portfolio of schools in the Emirate and we look forward to a first successful year in operation.”said Amit Kothari, Director of Interstar Education. South View School’s facilities include premium indoor and outdoor areas, dedicated specialist science, art, music, IT and athletics facilities for foundation stage, primary and secondary, in addition to a playground, play areas and social spaces for all ages. The school has first-rate sports facilities, including a FIFA-approved football field, tennis courts, and temperature-controlled swimming pool. “This purpose-designed campus represents our first education and development asset and we’re pleased to see the result of hard work from all partners involved to bring this first-class institution to the community. We look forward to watching South View School grow, and to seeing the success of its pupils as they embark on or continue their education.”said Anthony Taylor, Head of Real Estate at ENBD REIT, the Shari’a compliant real estate investment trust that owns the school real estate asset.